← WILL CHANGES TO THE RDF DEFINITION AFFECT PROCESSORS IN THE RDF SECTOR? Ecohog are very proud to have been in attendance at the Omagh Business Awards 2015, celebrating development and growth of businesses within the Omagh Area. 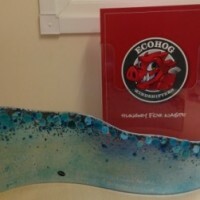 Ecohog were shortlisted as finalists for the Growth Through Export Award Sponsored by Dalradian Gold and on the night were announced winner of this Category. Well done to all involved in the organising of the Awards ceremony which took place in the Silverbirch Hotel and congratulations to everyone who received awards on the night.